Every 40 seconds, another human life is taken by suicide, according to World Health Organization data. But what will make a student think of taking his or her own life? Many scholars have written extensively on what accounts for suicide but it is Emile Durkheim, the sociologist who first sort answers to what really pushes one to suicide. Durkheim analyzed differences between Protestants and Catholics. He found a lower rate of suicide among Catholics and theorized that this was due to stronger forms of social control and cohesion among them than among Protestants. Additionally, Durkheim found that suicide was less common among women than men, more common among single people than among those who are romantically partnered, and less common among those who have children. Further, he found that soldiers commit suicide more often than civilians and that curiously, rates of suicide are higher during peacetime than they are during wars. Based on what he saw in the data, Durkheim argued that suicide can be caused by social factors, not just individual psychological ones. Durkheim reasoned that social integration, in particular, is a factor. The more socially integrated a person is--connected to society and generally feeling that they belong and that their life makes sense within the social context--the less likely they are to commit suicide. As social integration decreases, people are more likely to commit suicide. Anomic suicide occurs when a person experiences anomie, a sense of disconnection from society and a feeling of not belonging that result from weakened social cohesion. Altruistic suicide happens when there is excessive regulation of individuals by social forces, such that a person will be moved to kill themselves for the benefit of a cause or for society at large. Egoistic suicide happens when people feel totally detached from society. Fatalistic suicide occurs under conditions of extreme social regulation that result in oppressive conditions and a denial of the self and of the agency. But among the youth, the most prevailing factor for suicide is "emotional damage or deep depression". A state where the youth feels detached from society and that in the long run, they end either jumping off from building or hanging themselves. Suicidal thoughts are like dark alleys, they are deep and have no return most especially when there is no emotional attachment to the society. Often times among the youth, the factor of not being too smart like how society wants you to be, the desire to look and be like others and even financial issues gives the youth suicidal thoughts but is it enough to end it all with suicide? Every aspect of the Ghanaian society also frowns on suicide. Not only does religious sects frown on it, but the law is also against it. 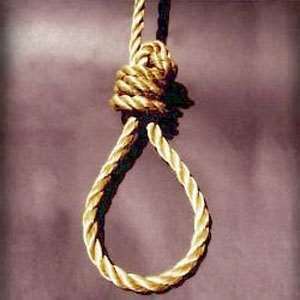 It is a criminal offence to commit suicide in Ghana. According to the 1992 constitution of Ghana CRIMINAL OFFENCES ACT - 1960 (ACT 29), Section - 57 - Abetment of Suicide. Attempted Suicide; 1) Whoever abets the commission of suicide by any person shall whether or not the suicide is actually committed, be guilty of the first-degree felony. (2) Whoever attempts to commit suicide shall be guilty of a misdemeanour. But however, it has been argued that this law is repealed because suicidal individuals need to be guided and counselled and not criminalized. But whichever way it is, it is uncalled for to end your life if not death by natural default. So if you have a friend who looks suicidal or shows signs of having suicidal thoughts, just aid the person before it is too late.